President Obama signed the National Defense Authorization Act which includes a 3.4 percent pay increase for all servicemembers. 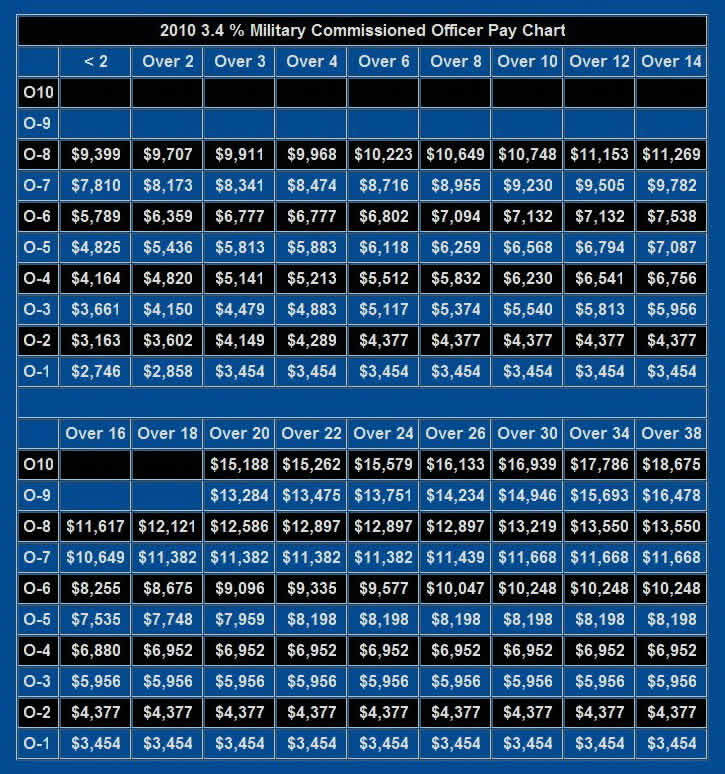 This raise is .5 percent lower than the military pay increase. However, considering current economic conditions this may prove to be a generous increase when compared to the civilian wage rates. President Obama signed the National Defense Authorization Act which includes a 3.4 percent pay increase for all servicemembers. 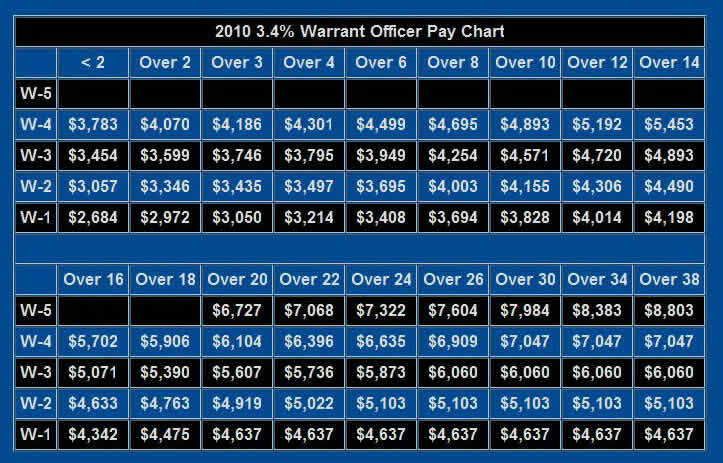 This raise is .5 percent lower than the 2009 military pay increase. However, considering current economic conditions this may prove to be a generous increase when compared to the civilian wage rates. 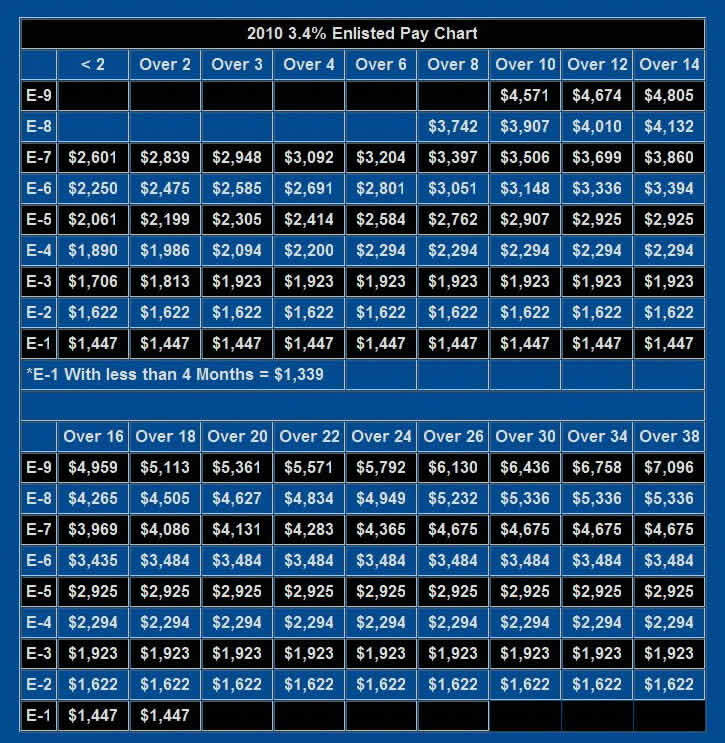 Note: Monthly pay for O-7s through O-10s in 2008 is capped at $14,349.90 under Level II of the federal Executive Schedule. The cap for 2009 is not yet known.